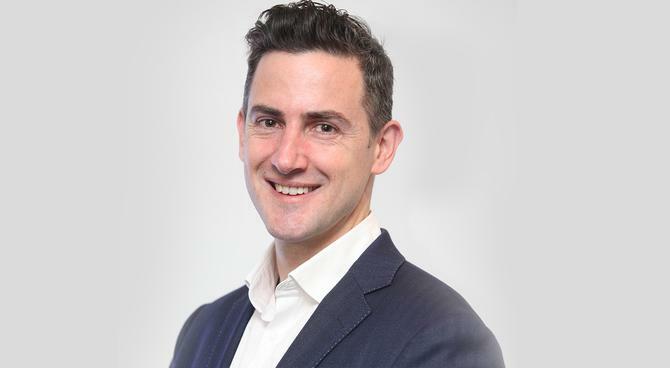 Network Ten director of commercial, business development and CRM, Martyn Raab, said prior to the launch of the media group’s digital offering, Tenplay, in September, it had a highly fragmented digital strategy. This encompassed 22 different and distinct sites across multiple brands. “We realised audiences are changing and increasingly consuming our content digitally and that we had to close the loop between broadcasting and digital, so we built Tenplay,” he told CMO during the recent ADMA Global Forum in Sydney. Tenplay is a multi-screen, TV content proposition providing consumers with a central location for content regardless of device. The service is available online as well as a native app across iOS and Android platforms. Tenplay has had more than 1 million downloads across all platforms since its launch. The new digital proposition also prompted a rethink of how Network Ten marketed its content offering to audiences. Just over a year ago, Network Ten overhauled both its front-end and back-end website technology, along with marketing, content and video platforms to support a more integrated and sophisticated digital strategy. The program of work was overseen by chief digital officer, Rebekah Horne, who was appointed in January 2013 to spearhead the media company’s digital media growth. A key component from a customer engagement perspective was deploying Oracle Eloqua’s marketing automation platform, Raab said. Previously, the group used a third-party managed email platform with no connectivity to its former content management system. Another key objective for the technology investment was to try and put a face on broadcast audiences so the group could learn more about them, Raab said. “So if you go from MasterChef to catch-up on an episode [on Tenplay], we try and drive you to become a member, and the more we learn about you, the more the cycle goes round and round,” he said. Raab explained Network Ten’s content team now loads up a new piece of video content, adding a description in the content system. That flows through to Eloqua, which automatically picks up the image and text, links to the video, and then creates and sends emails based on those who opted in to receive communications related to their interests. Since Tenplay’s launch, Network Ten has ingested about 5 million pieces of content and sent out 1.6 million automated communications alongside other acquisition-driven email marketing campaign activities. This is with just one dedicated person in customer marketing. Raab pointed out that with MasterChef, one of the top rating TV shows in Australia in July, the customer marketing team played a major part in its success by driving views through catchup, communications and different content formats. As a business, Network Ten is increasingly becoming integrated, Raab continued. The social media team sits within the marketing team, and customer marketing people are working with the broadcast promotion team. He admitted such as significant digital and marketing change is initially challenging because it’s new, and added data was vital in any such strategy. “We are very data-driven and all about measuring our successes,” he said. “If we can say to the broadcast team that we’ve sent this many communications about MasterChef, for example, which have generated a 30 per cent increase in Web visits of the show, it becomes an easier and more constructive conversation. While technology was a huge part of the transformation, process redesign was essential. Network Ten brought in staff with experience in marketing automation to assist with training, and worked with an integration partner to deliver a bespoke build integrating Eloqua with its content management system. Since going live with Tenplay in September, Raab said the team had learnt several lessons about digital success. Improving site robustness was one; the need to further automate applications messaging and understand the pathways people took to interact with content to create more personalised interactions was another. “If you are a person that responds to messaging through the TenPlay app, but you don’t respond to email communications, there is no point in me sending you emails anymore, but I know to contact you via the app,” Raab said. Raab said a data-driven approach to digital and marketing also stopped a lot of arguments between creative and programming teams. Testing all communications with a control group is core to ensuring the marketing team stays on the right track. “We are a highly creative business and there are lots of creative people. But if you can put some hard results in front of them, even the creative people will pause and listen,” he said. Raab cited an example of four email campaigns for shows running at the same time with specific content ranging from celebrity imagery to pictures of chocolate cake. The best received piece of content was the chocolate cake, which scored the highest open rates and a 400 per cent greater click through rate. Longer term, Raab could even see digital teams and their results influencing how shows are produced. Network Ten currently has a digital team member sitting with the programming teams, who puts together a plan for digital each time a show launches. “We do work with the production companies and if we can share that all of our communications using chocolate cake are going through the roof, then perhaps that will encourage more chocolate cake on the show,” he said. Across the board, one of the biggest changes for Network Ten has been acknowledgement that the audiences represented across traditional broadcasting and digital are the same core viewers with different needs, Raab said. As a final point, Raab noted the group is working to ensure the technology team’s KPIs are more aligned to the rest of the digital business teams. “Traditionally, the technology team was focused on building one thing, then moved onto the next thing. We want to ensure that once they’ve built something, they are looking at if it’s driving audience and have a true feedback loop,” he said. Follow CMO on Twitter: @CMOAustralia, take part in the CMO Australia conversation on LinkedIn: CMO Australia, join us on Facebook: https://www.facebook.com/CMOAustralia, or check us out on Google+: google.com/+CmoAu Signup to CMO’s email newsletter to receive your weekly dose of targeted content for the modern marketing chief.